In addition to helping you stay on top of leads, Blitz lets you automatically generate more leads without having to go through a lead list provider. The web form functionality within Blitz allows you to create a custom web form that you can include on your Facebook page, website, and more. To create a web form, Blitz users simply have to be within a campaign. Allowing users to create web forms within campaigns means that leads are always dropped into their designated lists within Blitz. Blitz users can also set up the automatic distribution of leads to other Blitz users. This means that as leads come into Blitz, you can enable leads to be automatically assigned and added to a user’s schedule. 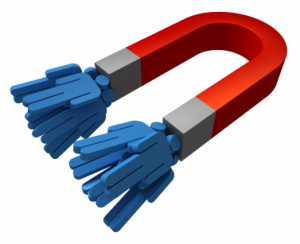 By automatically assigning leads, you guarantee that no lead is forgotten. Another feature of Blitz’s web form functionality is that each web form has its own unique URL. Companies can copy and paste this URL to include on emails, ensuring that they capture interested leads with a clickable link. Web form URLs can also be shared with a telemarketer who can use the web form to help bring more leads into Blitz. You can even bring in leads yourself by including web forms on your company’s Facebook page or website. Whether you would like to include a web form on your website or in an email, Blitz’s web form template will help you create the web form you need. The template is completely customizable, allowing you to include only the information you want. Businesses have found that web forms are especially useful at public events because agents can quickly add a contact on their smart pone or tablet without ever having to log into Blitz. Other businesses have found that creating a different web form for each of their products better organizes leads by what the leads are interested in. Whatever your business motive, Blitz’s web form functionality increases lead generation while Blitz’s powerful web based sales follow-up software improves lead tracking. For more information on how to create a web form, check out this video on Blitz TV.